Welcome to IV Media Resources! 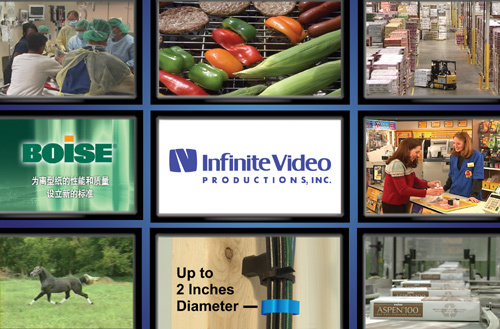 Welcome to IV Media Resources, formerly Infinite Video Productions, Inc. We are a full service video production company located in Geneva, Illinois, 34 miles west of Chicago. We offer shooting, editing, web video, graphics, DVD/CD creation and duplication services. As a specialist in the Corporate / Industrial markets, our job is to enhance your image and improve your bottom line. Our demo video requires the Adobe Flash Player. If you see this message than you need a current version of the Adobe Flash Player. You may also view the Quicktime version of our demo.